Sharon grew up on a farm by St. Ansgar, Iowa. She brings more than 30 years in the industry and started at Elrod, Green & Heimer in 1986. Sharon assists the dentists in treating patients and educating patients on dental care. 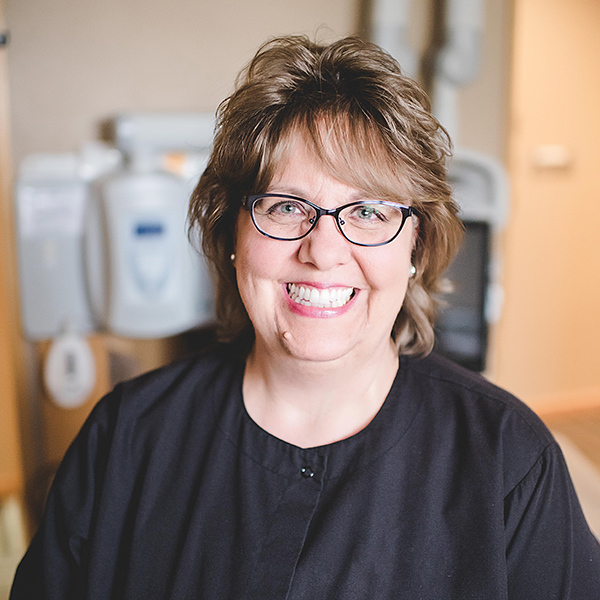 Sharon enjoys working with great people and meeting new patients. She values the friendship of patients that she has gotten to know over the years. Sharon volunteers with Operation Grace. In her spare time Sharon enjoys traveling and cooking. She is an avid Minnesota Twins and Minnesota Vikings fan. Elrod, Green & Heimer has been providing the highest standard of dental care in a clean, state-of-the art environment to Austin, Minnesota and the surrounding areas for over 75 years. Your comfort is our top priority.